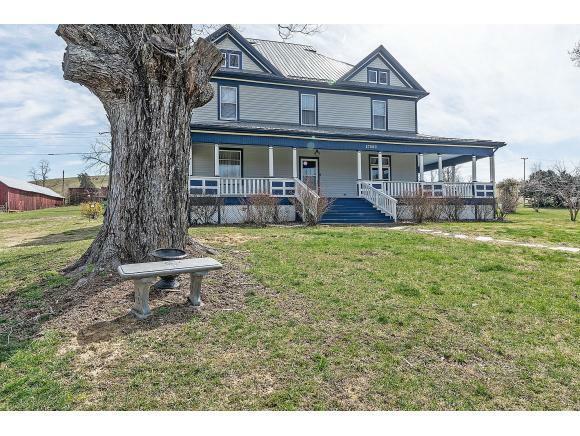 27580 Hillman Highway, Meadowview, VA 24361 (MLS #418955) :: Highlands Realty, Inc. LOOKING TO RELAX AND UNWIND? WELL THIS IS THE PLACE. JUST TAKE A SEAT ON THE WRAP AROUND FRONT PORCH AND WATCH THE WORLD GO BY. OR STEP INSIDE AND ENJOY THE FEELING OF COMING HOME. 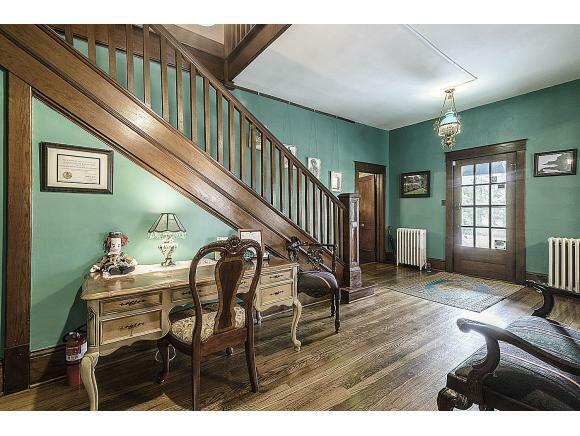 THIS HISTORIC FARMHOUSE HAS BEEN REMODELED, WHILE MAINTAINING ITS ORIGINAL CHARACTER. 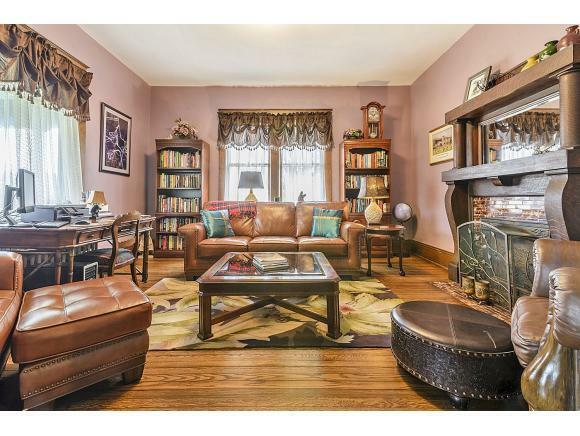 THE MAIN LIVING AREA HAS TWO LARGE ROOMS FOR ENTERTAINING OR RELAXING WITH FAMILY, BOTH WITH GORGEOUS FIREPLACES CREATING A COZY AMBIENCE. THE KITCHEN IS A WORLD OF ITS OWN WITH THE 60" FIVE STAR GAS DOUBLE RANGE, STAINLESS STEEL APPLIANCES, & ISLAND FOR FOOD PREP. THE UPSTAIRS OFFICE IS BRIGHT, WITH DUAL STAIR ACCESS. ALL OF THE BEDROOMS ARE LARGE, WITH MINI-SPLITS FOR ADDITIONAL COMFORT & EITHER ADDED OR UPDATED BATHS. THE LAUNDRY IS A NICE SIZE (WITH WASHER & GAS DRYER), AND OPENS TO THE MUD ROOM, WITH DIRECT ACCESS OUTSIDE WHERE YOU'LL FIND A 4 CAR GARAGE, OUTBUILDING WITH ELECTRICITY, LARGE PARKING AREA & YARD-PERFECT FOR A GARDEN & FAMILY OUTINGS. WITHIN 2 MI OF THE INTERSTATE, YOU'RE EXACTLY WHERE YOU NEED TO BE! 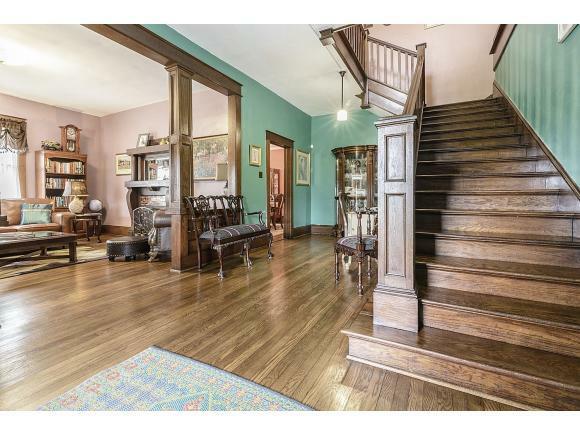 NOTE: TAX RECORDS SHOW HOME TO BE BUILT IN 1880; HOWEVER AFTER MUCH RESEARCH, THE OWNERS BELIEVE IT WAS BUILT IN 1915. JUST SOME OF THE UPGRADES THE OWNER HAVE MADE: NEW 400 AMP SERVICE (W/ADDED ELEC OUTLETS & REWIRING), WITH 30 AMP SERVICE FOR AN RV & COAX CABLE TO ALL ROOMS. ADDITIONAL SUPPORT HAS BEEN ADDED UNDER THE KITCHEN & DINING ROOM FLOORS, NEW WIRING THROUGHOUT, NEW EXTERIOR & INTERIOR PAINT, UPGRADED SEPTIC SYSTEM, WITH 1500 GALLON TANK, NEW CENTRAL AIR AND HEAT PUMP ON MAIN FLOOR, NEW METAL ROOF, ADDED NATURAL GAS TANKLESS WATER HEATER, NEW SECURITY SYSTEM, NEW PEX PIPING WITH DISTRIBUTION MANIFOLD. IN THE KITCHEN: NEW SOLID WOOD CABINETS, NEW FLOORING, & QUARTZ COUNTERTOPS. OTHER ITEMS INCLUDE: BATHROOM UPGRADES W/TILE, VANITIES & NEW TOILETS, REFINISHED FLOORING, NEW FRONT STEPS & SIDEWALK, NEW WINDOWS, & MUCH MORE. THERES ALSO A WELL ON THE PROPERTY WHICH COULD BE USED FOR IRRIGATION, ETC. Listing provided courtesy of Lori Foster of Highlands Realty, Inc. Abingdon.